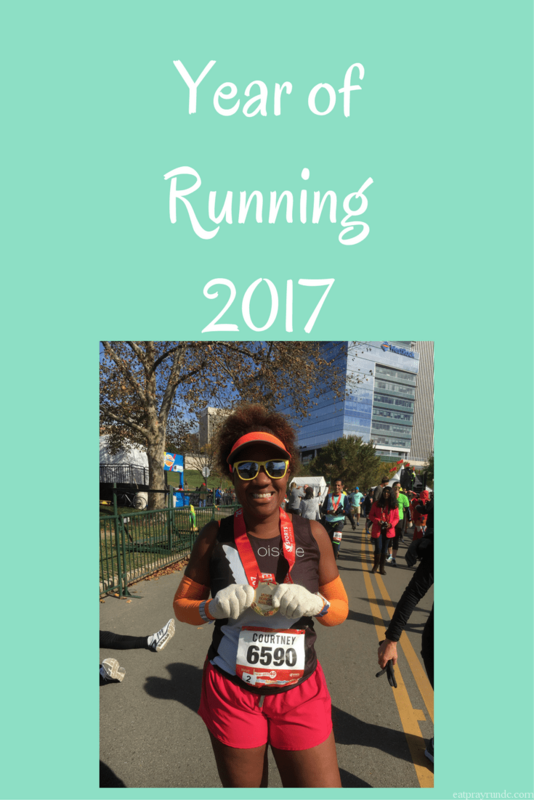 Check out Toni’s amazing year of running! This has been quite a year for me in the running department. I started the year in Key West where I ran my second worst half ever and in comparison, my first worst half was by choice and one of my favorite races ever. Key West however, was not by choice and it made me realize that I needed to change. I may have started the year at my worst in the running, but that didn’t last long, because by June I was running better than I had in years, I even managed my first under 2 hour half since 2011. With each subsequent half I improved my time. I PR’d at Cocoa Beach and I PR’d again at Mount Dora. Officially ending my year on top with my best running performance ever!!!! Best Race experience: I would have to say the San Francisco Half Marathon for sure. New York City will always have my heart, but I absolutely loved San Francisco. I had the opportunity to run the first half of the 40th running of the San Francisco Marathon. The only thing that would have made this race better would have been if I could have actually saw the Golden Gate Bridge…..damn fog. Check out full race recap here. Best run: I would have to say my long progression run from a few weeks ago. I was actually able to run by feel and follow my plan, it was a complete success! Best new piece of running gear: I may have just gotten it, but my favorite new piece of running gear is my new Garmin Fenix 5s!!!! It is a pretty awesome watch and I love that I can change the bands out in less than 10 seconds flat. It’s the important things that matter, like matching my race outfits go my watch band, right??? Best running advice you’ve received this year: In order to run faster you have to run slower. This advice has been from multiple people and I may or may not have heard it before, but this year I listened..or at least learned to listen. Recovery and slower runs are just as important as the faster runs and runner slower will not make you a slower runner. Most inspirational runner: Shalane Flanagan of course. Watching Shalane win the NYC Marathon brought tears to my eyes. The first American woman to win since 1977!!!! I could watch her win over and over and over again. Race experience you would repeat in a heartbeat: The San Francisco Marathon for sure! I would love to run the second half or even the full sometime in the future! If you could sum up your year in a couple of words what would they be: Absolutely amazing! This has been one amazing year for my running. I improved my half marathon time by 39 minutes and change. I also found the person I always knew I could be! I have also made many new friends along the way!!! 2017 has changed me completely and I look forward to an even better 2018. I am excited to link up with Courtney for the 2017 year of running!! I love this! So positive and reflective of an incredible year. Can’t wait to see where 2018 takes you! You had such an awesome year of running – congrats! I’ve really enjoyed following along on your running journey this year through your blog. You’ve had a great journey! Congrats! Its been so exciting to follow your journey this year. What an incredible year you had! Here’s to an even better 2018! You’ve definitely had an amazing year. I’ve loved following your training! Keep it up! Sometimes you have to hit rock bottom before you realize you need to make a change! You did such a fantastic job of that this year and it has been a thrill to watch you transform. Congrats on an amazing year. I can’t wait to see what 2018 brings for you! Woohoo!! Glad you had a great year, even if it started off a little rocky. I had my second kiddo in January of this year so I feel like I spent most of 2017 clawing my way back to my pre-pregnancy numbers. Wow! Just wow, wow, wow! Definitely an amazing year for you. Totally with you on Shalene – she’s so amazing! I always feel inspired watching her. Wow!! You went from strength to strength! Here’s to another great year. It sounds like a great year! I would love to run the Key West half and the San Francisco Half. happy 2018!! !